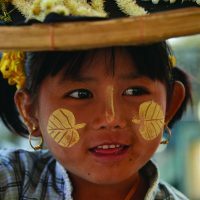 Asia Sublime offers custom tours to Asia with a focus on the art, culture, and modern life of the country. We are the leading American organization developing high-quality Asia travel. Our main office is in Santa Rosa, CA, and we have an operations office in Beijing and Tokyo as well. For over two decades, we have worked with American university alumni associations and museums to provide in-depth explorations of Asian life and culture for their travel programs. Recently, we have opened our travel services to professional groups, private parties, and individuals seeking customized, high-end travel experiences beyond the scope of the standard tourist fare. We offer tours to mainland China, Japan, Hong Kong, and Tibet. In recent years we have also developed operations in Myanmar and Bhutan. For inspirational ideas on what you may want to see and do, please visit our Group Tours page to review the outstanding itineraries we have created for alumni associations and museums. Of course, we will customize your tour around your specific requests and interests. For inspirational ideas on what you may want to see and do, please visit our Group Tours page to review the itineraries we have created for alumni associations and museums. Of course, we will customize your tour around your specific requests and interests. If you would like to travel to China, please contact us at 888.333.2585 or info@asiasublime.com and one of our experts will assist in crafting an exquisite program just for you! If you would like to travel to Asia, please contact us at 888.333.2585 or info@asiasublime.com and one of our experts will assist in crafting an exquisite program just for you! How many travelers are required? There is no traveler minimum. We can create a private tour for a single traveler or a group of 100. 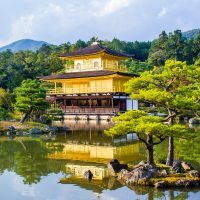 What makes Asia Sublime private tours so special? Expertise: We have spent nearly 30 years crafting unique and enriching experiences. As a destination specialist, we have been able to uncover and develop special access in local communities in rural villages and bustling mega-cities. Our teams in the U.S. and Asia are focused on the region every day of the year, ensuring up-to-the-minute expertise and quality control. Guides: Over the years, we have handpicked and trained our guides. They are the best in their countries, and consistently receive superlative accolades from our clients. As all travelers know, a good local guide is critical to the destination experience. Your guides will provide context to all you see and do, and our guides are experts at revealing the spirit of each region. Cuisine: One of the highlights of travel is experiencing the culinary delights of a destination, and Asia is renowned for its phenomenal dining. Each region boasts its own specialties, using the local agriculture, herbs, and spices to create unique flavors and presentations. Asia Sublime carefully weaves this culinary exploration throughout each tour, choosing each restaurant based on its dishes, service, and ambiance. At each location, your guide will assist you in ordering a variety of dishes that suit your tastes and dietary preferences. Personal service: As a small, boutique operator, we offer personalized service and care. Charlotte Xu, the owner and co-founder of Asia Sublime and a Beijing native, personally reviews every itinerary and collaborates on the final, detailed daily schedule for each of our tours. It is our mission to reveal China’s beauty and wonders to inquisitive travelers. The experience of every traveler is of paramount importance. What does an average tour cost? What's the best time to call (include time zone)? How many nights would you like the entire trip to be? How many adults will be travelling in your group? Are there any special services or accommodations you might need? What is your ideal per person budget for entire trip?